Rebecca Herold has over two decades of information privacy, security and compliance experience, with emphasis in the healthcare and energy industries.Herold provides training and awareness services and products through her Privacy Professor business, and provides HIPAA/HITECH compliance management services to her Compliance Helper and BA Tracker clients. 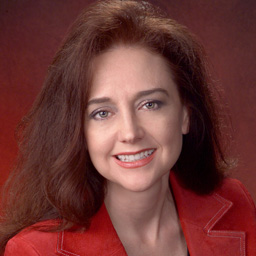 She has received numerous awards, including being named #3 on Computerworld's Best Privacy Advisers in the World list, and being named a Privacy by Design (PbD) Ambassador.Herold has also been an adjunct professor for the Norwich University Master of Science in Information Assurance (MSIA) program since 2005. In addition to having CISSP, CISM, CISA and FLMI certifications, Herold is CIPP/US and CIPT certified, a member of the IAPP Certification Advisory Board and an IAPP instructor.She is currently working on her 15th (on HIPAA/HITECH compliance) and 16th (on smart grid privacy) published books.